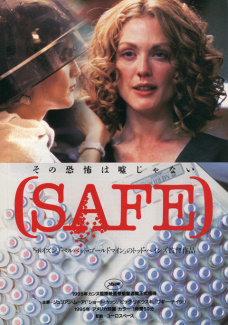 Safe is about Carol White (Julianne Moore), a passive and rather dull California homemaker who discovers that she's allergic to the 20th century -- that she has Environmental Illness, a rare disorder afflicting people who have a low tolerance for the thousands of daily chemicals and irritants that most of us, by now, take in stride. 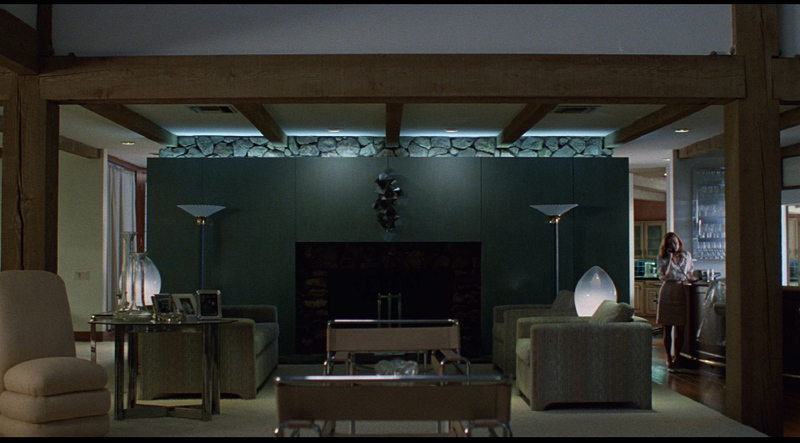 This is an actual ailment, and though Haynes' script follows something of a TV-movie disease-of-the-week trajectory, he knows a ripe symbol of modern alienation when he sees one. 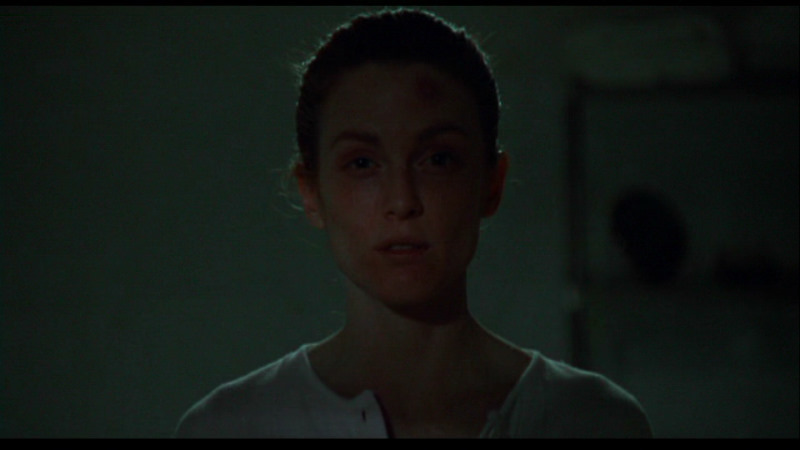 Carol is like an innocent alien, a cross between E.T. 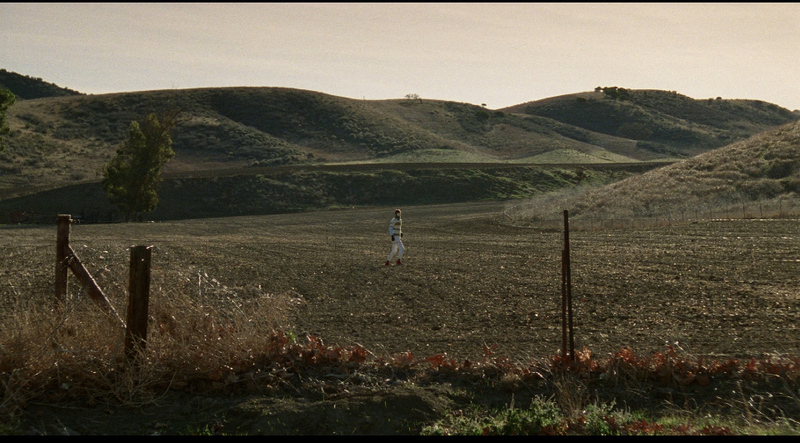 and David Bowie in The Man Who Fell to Earth, driven into seclusion by our intolerable atmosphere. She could represent any number of other things, too (though Haynes has insisted that we take her simply as a woman with a disease). Even her name carries associations with Carol Brady and, of course, colorlessness. 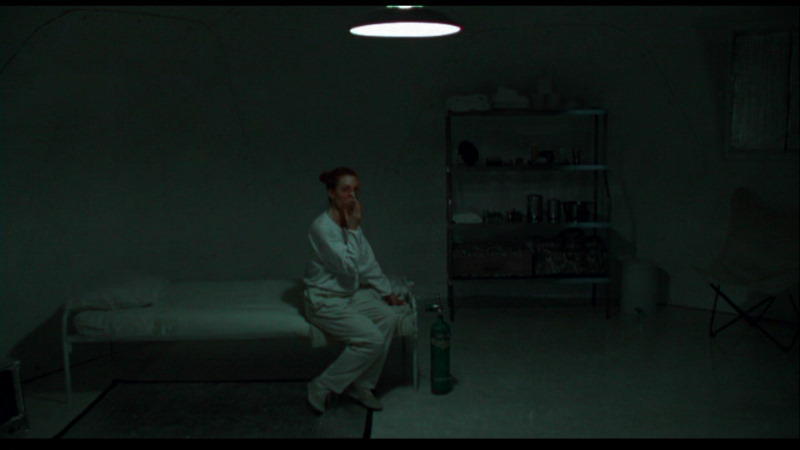 In an odd way, too, Carol is linked to the Lily Tomlin character in, of all movies, the 1981 Joel Schumacher comedy The Incredible Shrinking Woman; Tomlin played an ordinary housewife whose exposure to everyday household chemicals made her shrink, and both movies share a certain anger about women who are victimized, marginalized, and finally radicalized by their own consumerist culture. 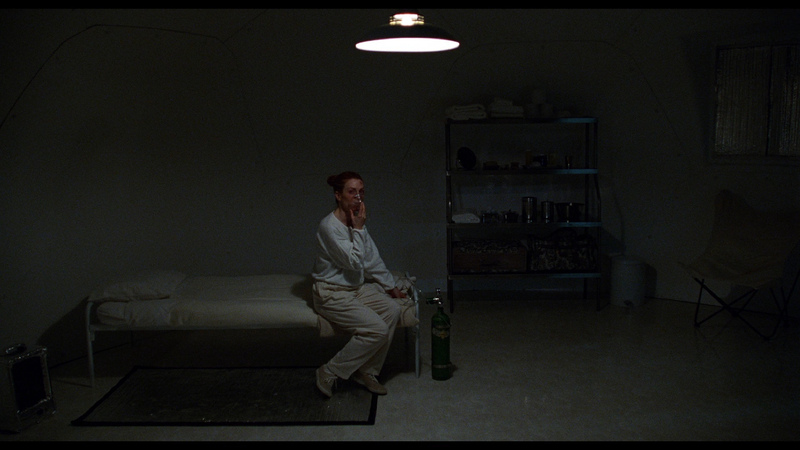 Little by little, Carol detaches herself from the outside world, suffering at the hands of clueless men who think she's just a bored rich woman angling for attention. 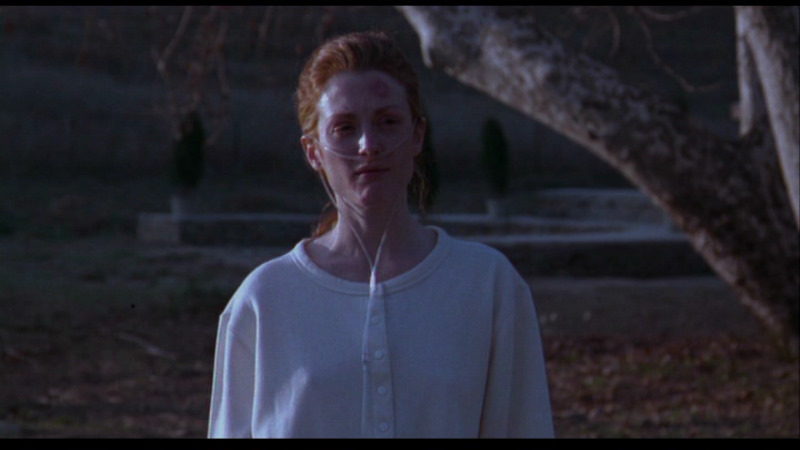 Julianne Moore is in almost every shot, and the physical preparation she did for the role -- dropping about fifteen pounds from her already slender frame -- certainly shows. 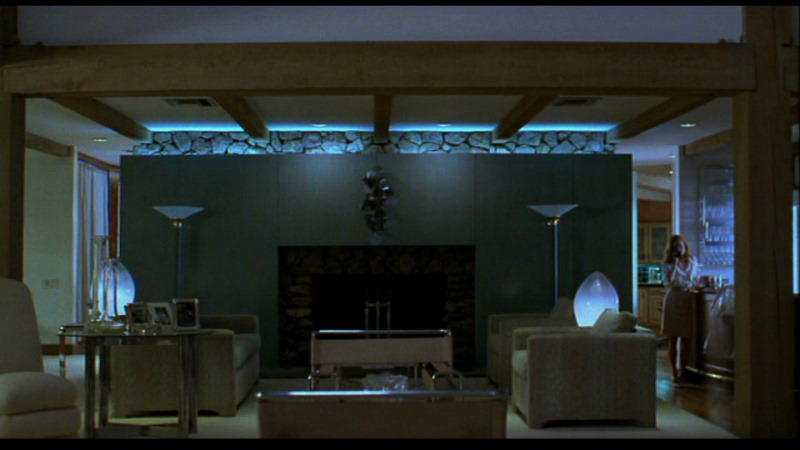 She's convincingly ravaged and weak, a helpless woman who, by the end of the movie, has seen her world dwindle to the confines of a hermetic igloo. 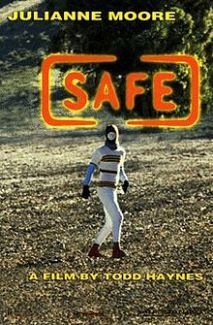 Nobody can be trusted: not her doctor, not her insensitive husband (Xander Berkeley), not the unctuous leader (Peter Friedman) of a "safe" retreat for EI sufferers -- not even the air she breathes, which at any moment can be fouled by the exhaust of an unexpected passing truck. ADDITION: (November 2014) Criterion Region 'A' - Blu-ray: WOW! 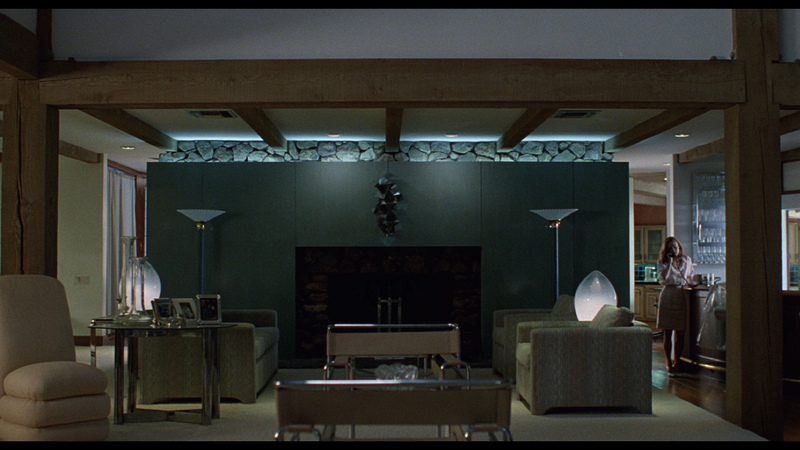 Criterions 1080P looks magnificent. I was hoping it would improve dynamically over the old Sony OOP DVD - and it has! 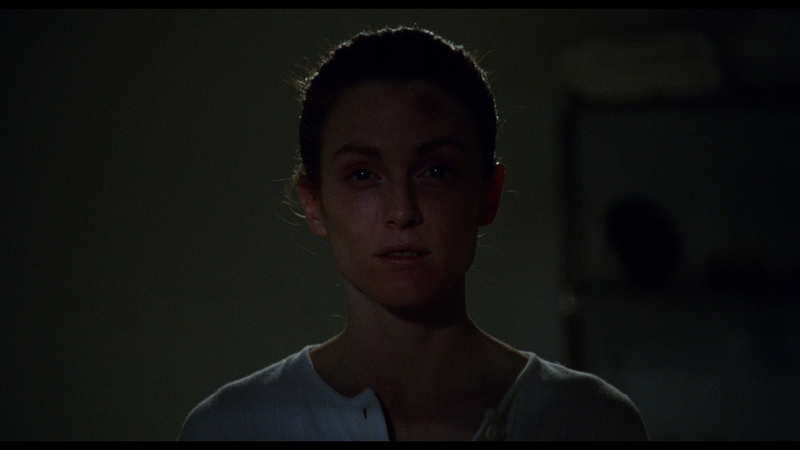 It is advertised as a "New 4K digital restoration, supervised by director Todd Haynes" and the image gets brighter, crisper, colors shift appropriately (flesh tones cool) - and there is more information in the frame. Contrast levels are superb. It has a higher level of detail and more depth visible but the textures are still there are appealing. It looks just fabulous in-motion - even better than I was anticipating. 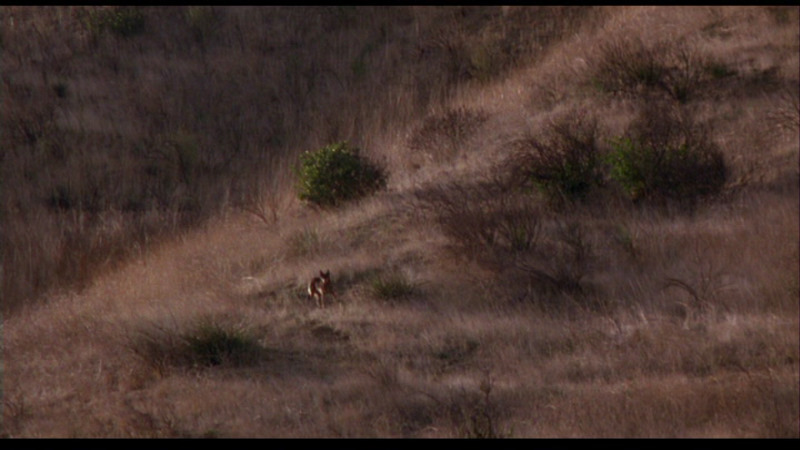 The transfer is dual-layered with a max'ed out bitrate. Bravo! 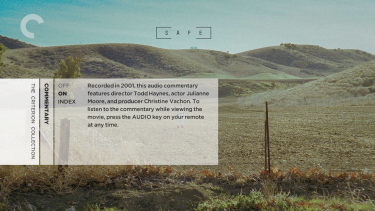 The audio is via a linear PCM mono track. 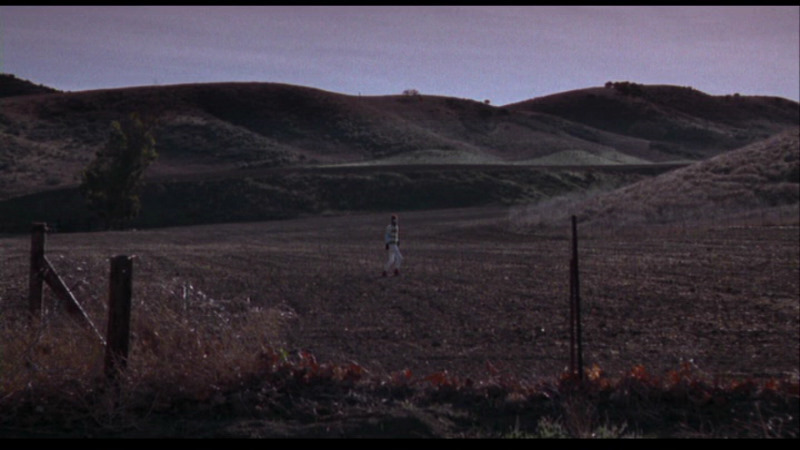 The uncompressed sound is noticeable in the score by Ed Tomney which works so well with the slow pans and background 'Pop Music' snippets of Madonna, George Benson, Belinda Carlisle that help establish the banality - almost like Muzak. There are optional English subtitles on the region 'A'-locked Blu-ray disc. 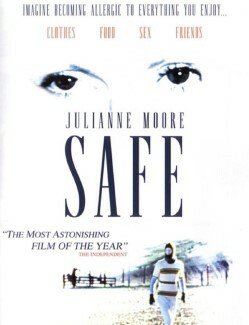 Criterion include the audio commentary featuring Haynes, actor Julianne Moore, and producer Christine Vachon recorded in 2001. It is still great listening. 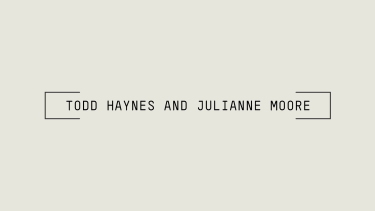 There is a new conversation between Haynes and Moore running about 36-minutes. 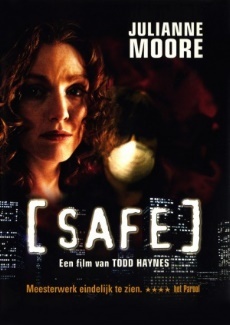 Safe was the first collaboration between the two, and Moore has since appeared in Hayne's Far From Heaven (2002) and I'm Not There (2007). 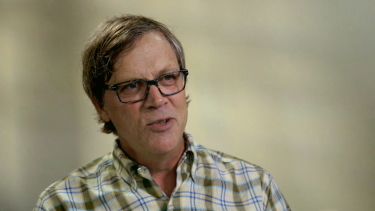 In this conversation, recorded by Criterion in 2014, the two reflect on the strength of their working relationship and talk about the film where it all began. 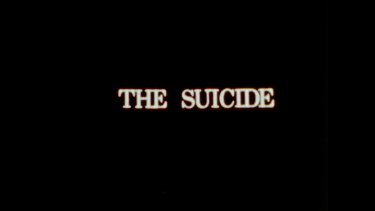 Todd Haynes first serious directorial effort, The Suicide, made in 1978 and running 20-minuytes is included. 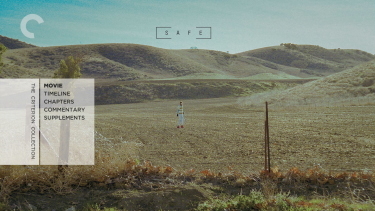 It is a surreal short about the sufferings of a middle school student. 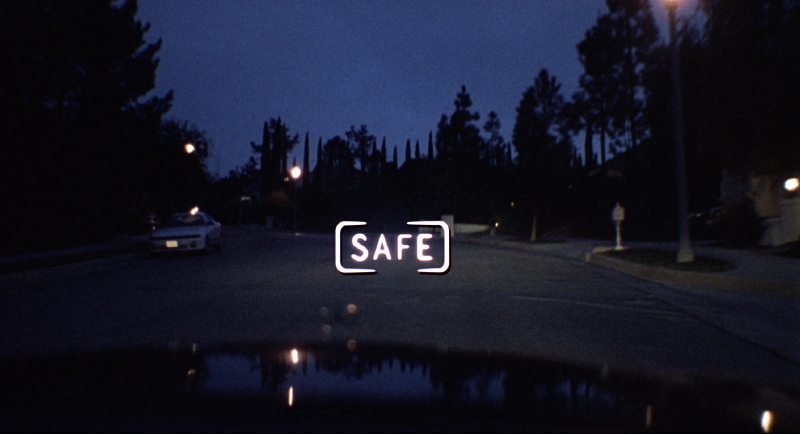 Haynes thought it was lost until a chance meeting in 2014 with the producer, Michael Quinn Martin, who had recently discovered a print at his parents home. 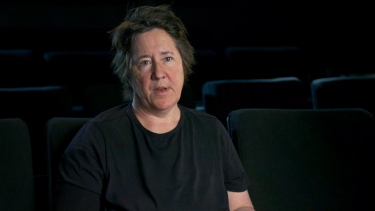 There is also a new 16-minute interview with producer Christine Vachon who also made Poison (1991), Haynes first commercially released film. 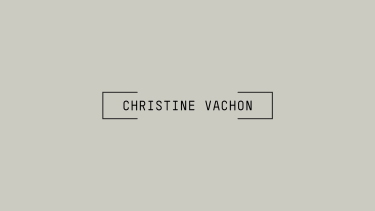 In this interview conducted by Criterion, Vachon reflects on the beginnings of their collaboration and discusses the historical context for Safe. 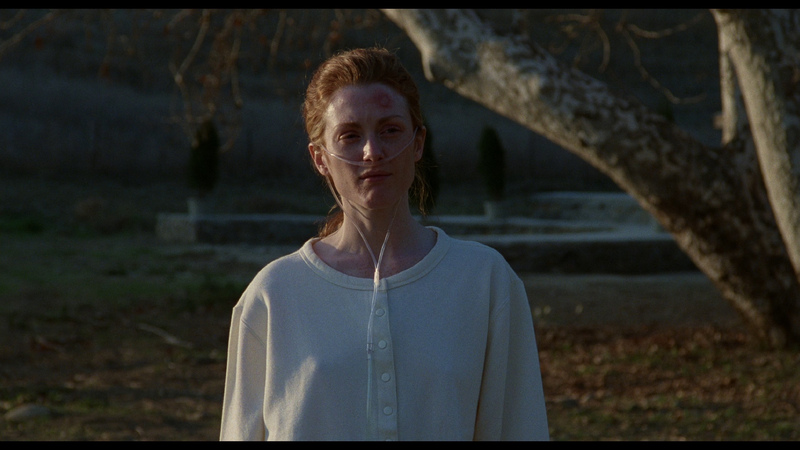 There is also a trailer for the film and the package has a liner notes booklet with an essay by critic Dennis Lim. 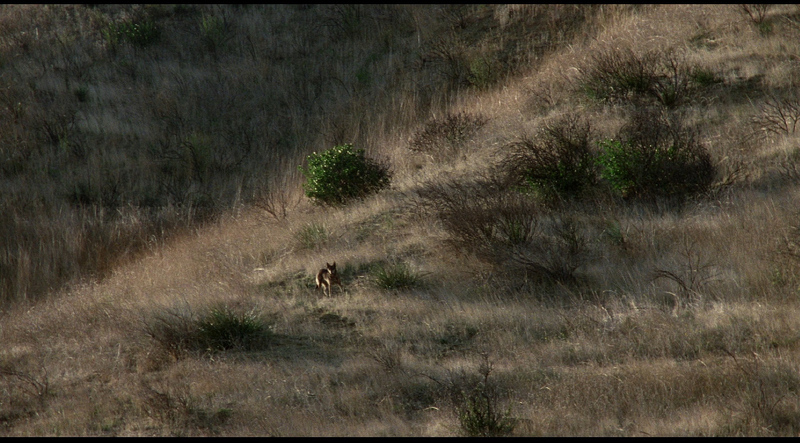 My esteem for this film continues to grow. 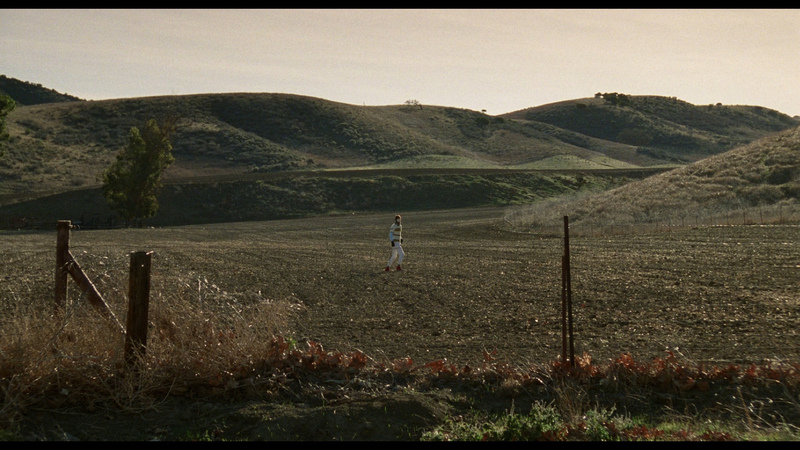 It's a pure masterpiece and such a great choice for Criterion to bring to Blu-ray. For me, it is one of the most desirable releases of the year. This has our absolute highest recommendation! ON THE DVD (April 2011): I have a section of my collection in an area I term 'Favorites'. There are maybe 100 discs there. 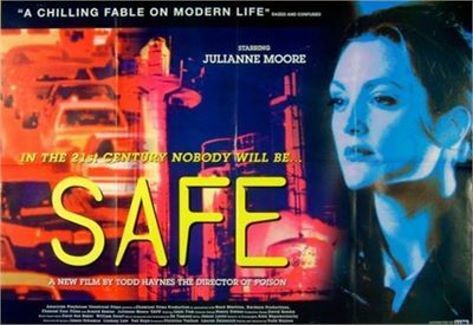 I keep Safe there but realize I had not seen it in years. 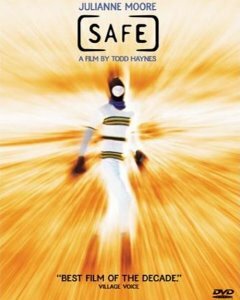 I re-watched it last night and it blew me away even more than it did a decade ago. I also listened, again, to the commentary. After I digested the experience, I checked to see if it had reached Blu-ray status anywhere in the world. It has not, yet. I did, however, notice that this DVD is out-of-print and fetching ridiculous prices ($187 in Canada!?!?). The Sony is single-layered. Spoiled by 1080P the image seems very weak today. 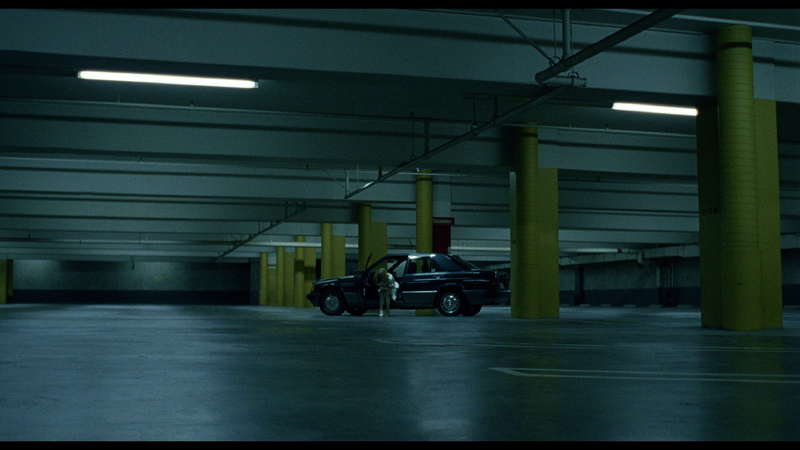 Colors are drab, it is not very sharp and indoor sequences appear greenish. The Stereo audio is unremarkable but consistent. Good news that I don't see excessive manipulation and the image is fairly clean. There are optional subtitles on the region 1 NTSC, standard definition, disc. The film is an absolute masterpiece - a contributing factor to the DVD's rare-ness and high price. Haynes has crafted a brilliant story - filling in details with subtle precision. 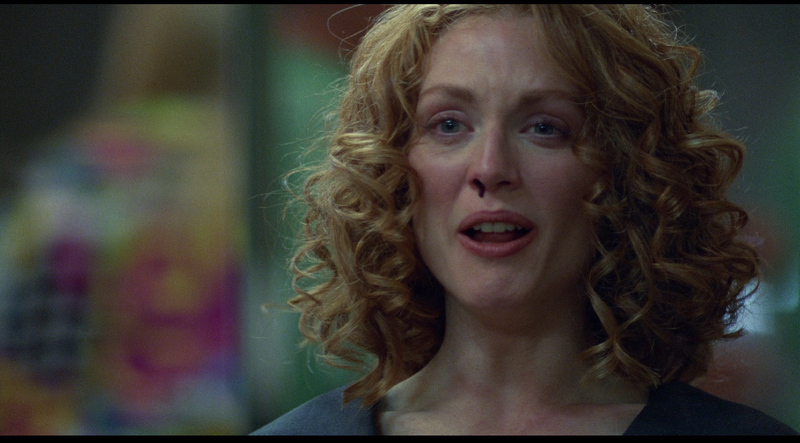 Julianne Moore is one of my favourite actresses (What Maisie Knew, Chloe, Blindness, A Single Man, Magnolia, The Big Lebowski etc.) 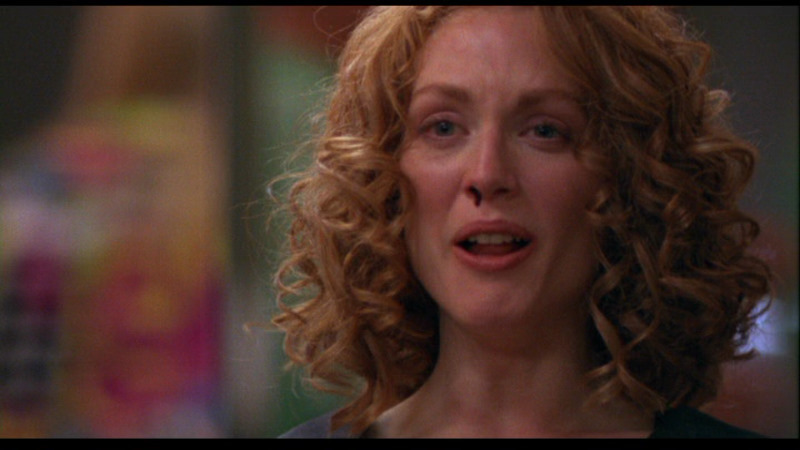 and this is one of her best roles, IMO. My point of this review is to encourage someone to get this film onto Blu-ray. 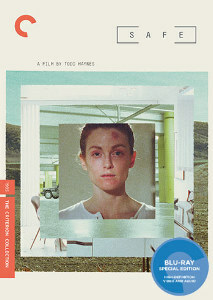 How about Criterion? Anyone? 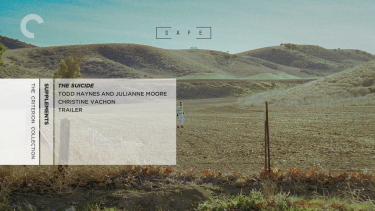 Gregory tells us in email: "Just wanted to update you on the status of Todd Haynes's film you just reviewed - Criterion already confirmed [safe] is coming to the collection at their 2013 Wexler talks in November." Woohoo! !